Join one of the best 'purpose driven' volunteer workshops in Perth and join in the fun. ​Download the Membership Application or Membership Renewal Form below. Recently retired and/or looking for a new life interest with which to productively invest your spare time? Want to feel like a kid again? How about joining the Bus Preservation Society of WA and make a positive contribution in a worthwhile activity? At the same time share with others the experience of working shoulder to shoulder on a project or activity? You will find respect for your contribution and at the same time learn new skills or renew old ones. The Bus Preservation Society of Western Australia (Inc.) (BPSWA) is a unique organisation dedicated to the preservation of Western Australian Bus Heritage. 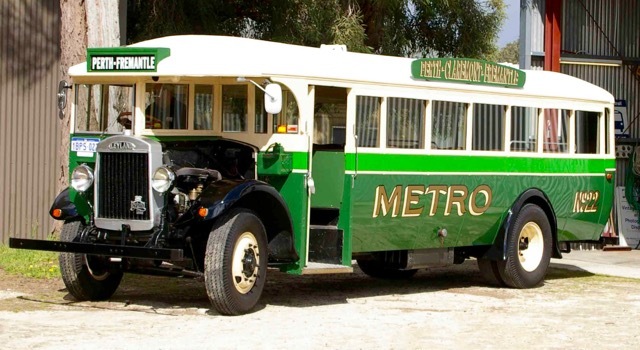 It has a collection of more than 35 historic buses and a comprehensive bus related archive and artifact collection. BPSWA members meet every Tuesday at the DEPOT in Whiteman Park and work in a congenial, friendly environment. There are so many different ways to contribute through the Society's many activities. Membership also allows access to the Society's Document Register with its collection of Archived material and publications such as Rattler and the Occasional Paper series. What can we offer you in exchange for your participation? Meet and mix with people from a wide range of backgrounds. Participate in social outings using Historic Buses. Work in a congenial friendly environment. Be part of the team working at the Depot sharing skills and experiences to maintain and restore the collection of historic buses and bus memorabilia. Be valued and respected for your work. 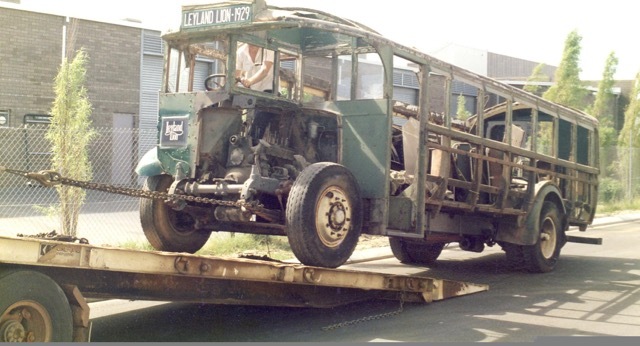 Be part of, and contribute to the future of Bus Heritage in Western Australia. We always need people to act as Tour Guides showing visitors over the depot and the collection; help clean the buses and yard/depot. We need people to perform the light duty tasks of bus servicing, checking tyres, batteries, fuel, oils and water, someone to regularly start (and run) the buses. People to keep track of the workshop comings and goings, check in and out the stores and spares required each day and to help issue the equipment and keep track of tools and record maintenance activities. We also need people to collect waste batteries from our donors and deliver to the 'drop-off' points, a valuable activity which earns the society essential funds which enables us to keep going. Or maybe you can take out the 'ute' and collect or deliver repaired or overhauled parts and keep the workshop running? We need people with word processing skills, bookkeepers, cataloguers, researchers, recorders, writers and editors for our publications and website administrators. ​Mechanics, Electricians, Fitters, Panel Beaters, Painters, Body builders, Trimmers, Metalworkers, Woodworkers, Trades Assistants. We need Bus Drivers, Conductors and Tour Guides to operate our scheduled services and at special events. ​Sound interesting, is there something you feel you can do among this list of activities? If you're still 'thinking' about joining, why not come out to Whiteman Park - to the workshops on a Tuesday and have a look for yourself? Take a guided tour of the facilities, kick a few tyres, inspect the operating buses and talk to a few of the members already volunteering. See what they think of this opportunity? Have a 'cuppa' tea or coffee in the crib room at morning tea or lunch time. To arrange a visit, go to the Contact page and send an email? Or just take the plunge and fill out a membership form - Click here to Join the Fun. Nothing ventured, nothing gained!